Established in 2006, by the joint efforts of Keith Espeland and Lowell Poland, Steadfast Builders llc. is a diverse company capable of meeting all of your building needs. Steadfast Builders has quickly grown by word of mouth, developing a reputation for quality work as well as great customer service. With a creative and design minded team that treats every project as though it were their own, You can be sure your next project will be one you will be proud of. 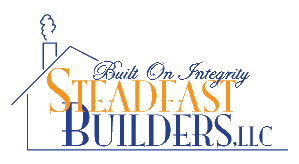 Steadfast Builders not only builds turn key custom homes to fit you personality and budget but also has specialized divisions within the company to take on any type of project. Whether your projects are big or small our Framing, Siding, Windows and Doors, Interior Finish, Paint, Concrete, and Electrical divisions have the ability to do all things residential and commercial as well as service work. WANT TO LEARN MORE ABOUT OUR BUILDERS?